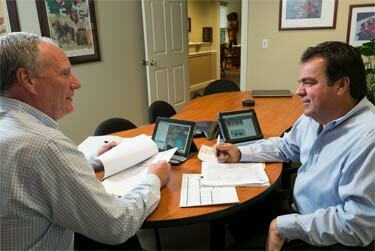 A blend of experience is one of the key ingredients in making Blackthorne Partners successful. Blackthorne's managing directors, John Syburg and Steve Balistreri, have excelled in positions of responsibility with small businesses that grew substantially during their tenures. They also achieved success in service industries, which is why those businesses are among the primary targets for private equity investments. Syburg and Balistreri also have skills and experiences that complement each other, and provide Blackthorne Partners with a 360-degree perspective—during due diligence, and while helping businesses grow after the investment. Syburg worked in financial services, where he learned the ins and outs of funding operations and raising capital. Balistreri built his own business (from a dozen employees to hundreds) and has been involved in multiple mergers and acquisitions. What the resumes don't tell you matters, too: Both are personable, engaging executives who understand how to build solid relationships in the community and with clients, prospects, managers, investors and others.